The President’s scholar program will be discontinued starting with the next incoming class. Previously, students with a 3.75 or higher GPA would receive a fifth year at Lehigh tuition-free. (Emily Hu/B&W Staff)The President’s Scholar Program is being discontinued starting next fall after more than 20 years of providing qualifying students with a tuition-free fifth year. The President’s Scholar Program is being discontinued starting next fall after more than 20 years of providing qualifying students with a tuition-free fifth year. With no formal announcement by the university administration, a message appeared on Lehigh’s webpage dedicated to the Presidential Scholarship. Provost Pat Farrell said because of tight budgets and limited funds, he had to prioritize what areas were most important. He believed the money would be more effective by going toward other forms of financial aid and scholarships for Lehigh students. With the recent increase in tuition for the 2019-2020 academic year affecting students and their families, Farrell said financial aid packages for both new and existing students are also impacted. He said Lehigh is trying to attract a wide variety of students across the world and provide them with sufficient aid. Barbara Tsaousis, a fifth-year student and Presidential Scholar using the program to pursue a second degree in health, medicine and society, said she understands that Lehigh is trying to recruit students by offering them good financial aid packages. However, she said the President’s Scholar Program gave her the opportunity to financially help her family, and it would be helpful for other families as well. Tsaousis said one of the benefits of the program for her is that it afforded her more time to work on applying to medical school while pursuing a second degree simultaneously. Ava Bertone, ’18G, specifically applied to Lehigh with the intention of using the President’s Scholar Program to take graduate-level classes as an undergraduate in the College of Education dual-enrollment program. Although she has since switched to a master’s program in the English department, the President’s Scholar Program allowed her to pursue a graduate degree in a fifth year. “I think it definitely makes a fifth year much more feasible for families who have spent a lot of money and oftentimes sacrificed a lot to put their kids through Lehigh as (undergraduate) students,” Bertone said. To be eligible to apply for the President’s Scholar Program, students are required to have an overall GPA of 3.75 or higher after their fourth year at Lehigh. The program is only eligible for one academic year after a student’s undergraduate graduation. Tsaousis said she was surprised when she found out the program was going to be discontinued because there weren’t many students who accepted the scholarship or who were in the program, as a lot tended to pursue graduate studies elsewhere or already had a job right after graduation. Farrell said there won’t be any similar programs as a replacement. However, there are ideas about creating other honors programs to recognize outstanding students and their achievements, as well as continuing to challenge Lehigh’s best students. The program wasn’t discontinued because it was unsuccessful or because students didn’t like it, Farrell said. Part of Lehigh’s mission is to provide sufficient financial aid to students, and recent pressures for more need-based aid led to his decision to discontinue the program. He said GO: The Campaign for Lehigh, the $1 billion fundraising initiative, is intended to mainly encourage donors to give money for financial aid purposes. “$400 million is our hoped-for target to go to the endowment to provide additional financial aid, so that’s by far the biggest piece of any piece in that overall campaign,” Farrell said. If donors do not give enough money, Farrell said he has no solutions to finding the financial aid dollars as of now. He said Lehigh is working hard to make donors understand that the money they give is important to students who receive financial aid and to the university. Bertone said she is concerned that it may send the wrong message that Lehigh is more focused on recruiting prospective students rather than caring about the undergraduate alumni. “From what I’ve heard from various faculty members and friends and colleagues who have worked in Admissions and other departments on campus, it seems to be that we have an over admitting problem that there are just too many people, too many students accepted every year, and I’m really concerned that numbers are being taken into account over student well-being,” Bertone said. Tsaousis said she thinks that Lehigh can cut back spending on other things that are not as necessary to help students pay for their education. Lehigh has been busy with building new dorms, renovating buildings and admitting more students each year. “There are a certain amount of financial aid dollars that we just have to be able to put out on the table in order to satisfy those criteria: to get a diverse student body, to get the kind of students we want and not have to even think about their family’s economic situation, but just get good students and make sure they’re able to come financially,” Farrell said. unis should seek to educate the best students they can attract – not seek to income redistribute from the richest to the poorest. such a model does not work in education unless you had a massive endowment to begin with and can afford the best profs (thus attracting families who will gladly pay full rates?. who would not send smart kids to public ivies – cheaper and better profs…or higher ranked schools that cost the same amount like northeastern? I couldn’t agree more. My parents paid sticker-price for Lehigh and we were all disappointed by the place. One of my only regrets in life is not aggressively trying to transfer out after my underwhelming first semester, but Lehigh was once considered a prestigious institution. Seriously, it keeps tumbling down the rankings and it is an embarrassment overall. Anytime Lehigh is the news, I cringe because it is never something good. I will also say that a significant contingent of my classmates from Lehigh either turned out suburban and mediocre, or ended up going down a wrong path. I have nothing against the suburbs whatsoever but I could have had the same (or likely much better!) experience at a non-name brand school closer to home, let alone one of the more reputable ones there! I will be graduating this summer with an MS from a public Ivy and am proud of my school. Is it an elite place like the top prep school that I graduated from? Not necessarily but has an excellent reputation, incredible resources, professors that are true role models, and a legacy and future of academic excellence. I knew when applying to grad school that I would only consider either Ivies or public Ivies and feel that my intuition led me in the right direction. I don’t highlight my BA from Lehigh in any context, and my family and I have urged people to not encourage their kids to apply there. “…to get a diverse student body, to get the kind of students we want”… This is telling. It seems Provost Farrell feels this and rewarding our brightest and hardest-working students are mutually exclusive goals. Is he concerned that Lehigh will be lowering their standards so much in order to satisfy their newly stated goal of diversifying the student body that there will be little need for the Presidential Scholarship in the future? If so, why not leave it in place as an incentive to reward the full-pay students who excel? If not, why not leave in place as an incentive for ALL students who want to achieve more, since a fifth year is not generally covered by financial aid? I can’t imagine so many students take advantage of the Presidential Scholars program that it is a huge financial drain on the university. I do also believe it was an effective recruiting tool. Agreed. Lehigh, with its questionable (recent) decision-making, is not in a position to discontinue this scholarship; or to send the message it is sending. This unique and generous “perk,” which typically draws and appeals to high-achieving, full-tuition-paying students, distinguishes Lehigh from some of its peer institutions which offer other positives (including higher rankings). It is a recruiting tool for prospective students and an incentive/reward for current students. 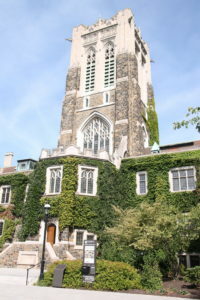 It seems as though that very expensive consulting firm that the university hired failed to understand that Lehigh would benefit most from fortifying/building on its strengths (as it has with its West Coast venture and with Mountaintop) and updating some of its facilities instead of pursuing an unrealistic and unsustainable “vision” at the expense of some of these strengths (e.g., President’s Scholarship, Comp. Sci). While the ideals of diversification and financial assistance are admirable, the school cannot afford to disregard and disrespect its financial backbone– smart and full-paying students — to the extent that it has. Especially when it is relying on alumni to foot the bill – since many of these same alumni are already steering kids away from their soon-to-be $70,000/year alma mater. And it’s not Greek Life that is to blame. Lehigh’s hyper-focus on significant growth and diversification is misguided and seems to have impaired the school’s judgement. Example: when Lehigh decided to launch its huge fundraising effort in the middle of campus while classes were in session, many students were unable to hear their professors’ lectures. But the students, particularly those paying $68,000 for those lectures, literally heard the college’s message loud and clear: the importance of the “vision,” not their education, had become the priority. Diversity, opportunity, and affordability are incredibly important, and ideally, Lehigh would have the endowment and the reputation to accomplish its total vision. But it doesn’t, and it can’t try do so at the expense of eliminating or compromising its strengths. It’s a delicate balancing act — one that must be grounded in reality. I love many aspects of Lehigh, particularly the palpable Lehigh spirit. But the administration is succeeding at quashing this spirit – which was, until recently, the real essence of the school. Without it, prospective students and alumni alike will choose to spend their money elsewhere. Finally, I really like President Simon, and it’s a shame to see the Scholar Program eliminated on his watch. I applied to Lehigh knowing about the fifth year free possibility, and ended up attending with that as a consideration. While most schools don’t have a similar program, it was a cool, unique feature of Lehigh that incentivized hard work to get a graduate degree which is very valuable in the competitive job market for college grads nowadays. From what i remember, less than a percent of students use it. I can’t imagine discontinuing the program saves so much money to justify the cost of losing the driven students who will contribute in future donations and reputation for the school. This is unfortunate news. My best friend from Lehigh is also a free 5th year alum, and is exactly the kind of person the school should want to attract. This was a program that differentiated the school from its peers, incentivized academic achievement, and was a good course of role models for underclassmen. I am female, and even I suspect that the school began its downward spiral around the time when it went coed and then accepted less qualified women to even out the gender ratio. I was a cash customer that the school clearly used because my parents could pay sticker price but I was also a strong candidate. I met girls on my freshman hall who had SAT scores in the three digits and who could barely write. Attempting to fill the school with more diverse students with little regard for what they can bring to the community will have negative consequences in the long-run. Bear in mind that diversity and inclusion are highly valued by me as someone who comes from a mixed background and whose boyfriend is a brown-skinned Latino from South America. However, let’s make sure that male or female, black, white, or purple, the school is bringing in the best quality students and people overall. Wait – you mean this is going to drive away extremely selfish people? I’m suddenly in favor of this move. Extremely Selfish Person: It will destroy Lehigh if we the full-tuition-payers leave! Me: Let’s run the experiment! Me: I thought you were leaving? Extremely Selfish Person: I will say a mean thing about people who are not as rich as my parents are, and that will make me feel better! Extremely Selfish Person: Here are five new reasons why it totally make sense for me (meaning my parents) to pay the new astronomical price I’m not happy about! And why Lehigh is an excellent choice that will make me rich and successful, and will ensure that someone will be my friend, because we have the same shirt, with the same Greek letters, though I am uncertain as to where they fall in the Greek alphabet! But I do not like to pay this much that I (meaning my parents) am very much voluntarily paying, so I will volubly blame the poors and women who make me feel like a loser what that is not what they are supposed to do. Or the Title IX officer, same difference. Me: I didn’t know you knew the word “volubly”. Extremely Selfish Person: I don’t. What does it mean? Me: Not that I’m your free personal dictionary service, but it means “loudly and articulately, probably at length”. Extremely Selfish Person: Whatever. Where is my medal for helping the poors which I am doing at gunpoint? Extremely Selfish Person: I can wait. They’ll see. They’ll know who sacrificed for them. So are people supposed to apologize to you because their parents worked hard and were successful? Maybe their parents actually were intelligent, high-functioning professionals, and their brains and drive were inherited by their children. Your jealousy is sick and if you were from a higher socioeconomic class, you wouldn’t be taking it out on people of that ilk, regardless of your political inclinations. Jeez, would you either stick to one screen name or vary your rhetoric?